I was craving pizza, but did not feel like making dough or breaking out the frozen brown rice crusts that I had accumulating frost-burn in my basement freezer. Somehow, I didn’t think they’d be so great. 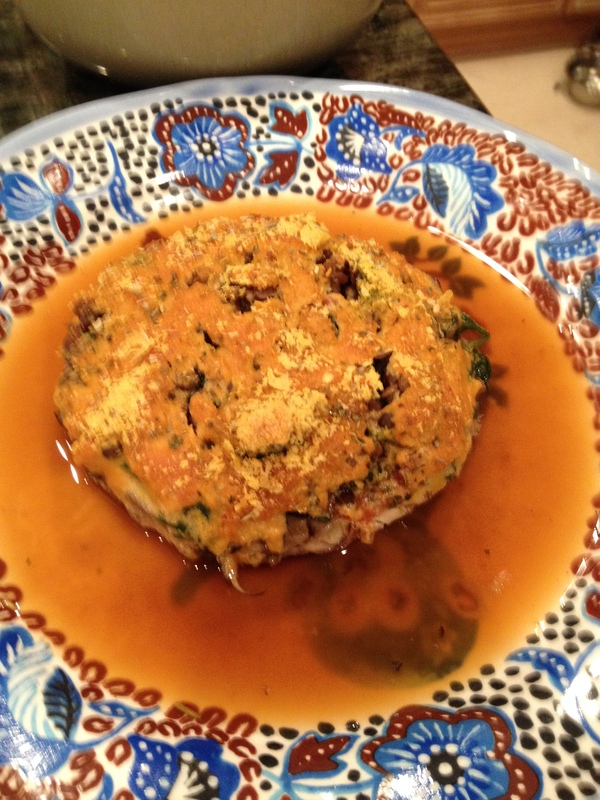 The good news is, this stuffed stuffed portobello mushroom did the trick. It captured all the flavors I love about pizza (I love mushrooms on my pizza) without any of the ingredients I can’t eat. And it only took minutes to make. 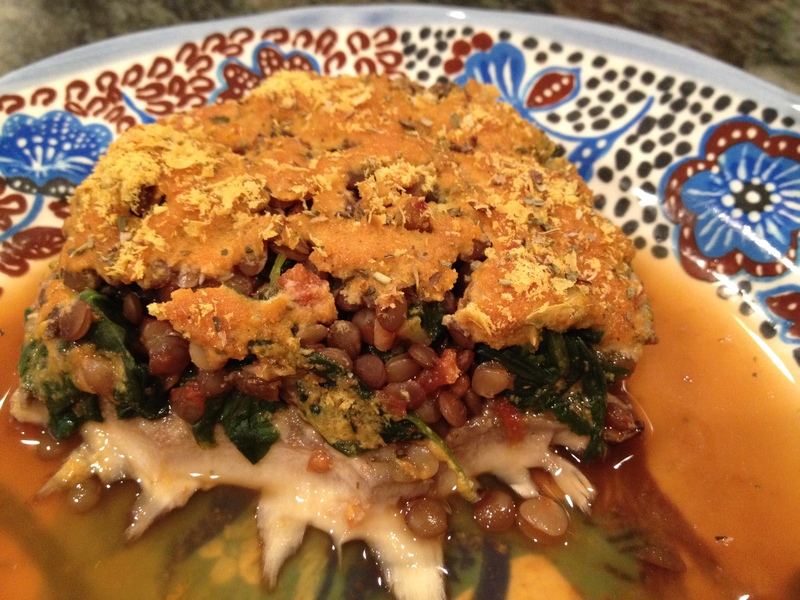 Feel free to add any of your favorite pizza toppings to the lentils and greens mixture. The lentils make it hearty enough to stand up on it’s own, but you can serve it with roasted veggies, polenta or any gluten-free baguette you like. I had mine with roasted broccoli. Preheat oven to 350 degrees. Follow package directions to make lentils. In a small pot, heat up pizza sauce and simmer the greens and the oregano in the sauce until soft. Then add the cooked lentils. Meanwhile, prepare the portobello mushroom by cleaning it and scraping out the grills on the underside with a spoon. This will make space for the filling. Mix the nutritional yeast, salt and Italian seasoning together in a small bowl. Then place mushroom upside-down on a foil-lined baking sheet. Pour the sauce with the lentils and greens into the mushroom cavity. Top with the nutritional yeast mixture. Bake for 10-15 minutes depending on size of the mushroom.